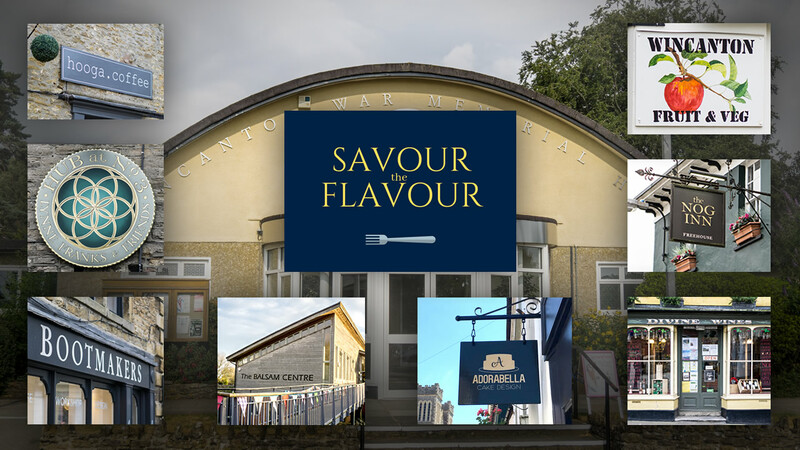 On Saturday 30th March 2019, Wincanton will be host to Savour the Flavour, a one-day, town-wide celebration of the highest quality produce, producers and artisan food retailers from South Somerset and the surrounding areas, sponsored by South Somerset District Council. Somerset’s long agricultural heritage is rich with traditional family farms, which, for generations, have supported the food sector. This is reflected in today’s diverse range and size of local food businesses, from small scale producers supplying local farmers’ markets to internationally known brands. A full programme of events and activities has been organised to take place in venues throughout the Wincanton's town centre, including an artisan food market and a film screening of archive footage showing local food production dating back to the 1900s, accompanied by live folk music at the Memorial Hall, a Paddington and food-themed storytime at the Library followed by a fancy-dress parade, and a baking and foodie photo competition and soup kitchen at The Balsam Centre. Some of the town centre businesses will be taking part in the Town Centre Taste Trail, offering samples, special offers and activities throughout the day. At Lynne Franks' new café and wellbeing HUB at No.3 they'll be serving a special wellbeing meal and hosting expert talks, and at the Bootmakers Workshop there'll be foodie face painting, and a free crepe with every wood-fired pizza. The Nog Inn will be doing miniature speciality burgers and a food discount for the day, the Hooga café will be offering traditonal Danish hot dogs, and Divine Wines will be putting on a special French lunch menu and homemade pasties. The full programme, below, begins at 9:30am and should wrap up by around 4:30pm. Featuring award-winning local producers Somerset Cheese Company, Wraxall Vineyard, Dowding’s Cider & Apple Juice, Gluten Free Gourmet, Wicked Chilli, Harth Truffles, Priestland’s Birch, Godminster Cheese, Unusual Pork Pie & Meat Pie Co., Black Bee Honey, Easy Bean, Smoke Folk, and more. Come and hear about Paddington’s adventures, and other stories of the wonderful world of food. Wear your best duffle coat and Paddington hat for a chance to win your very own Paddington to take home with you. After storytime, be part of the Paddington Parade, march up to the Hall and show the town your best bear moves! (Just remember to keep a marmalade sandwich under your hat for emergencies.) Fancy dress judging at 11:30am in the Hall. 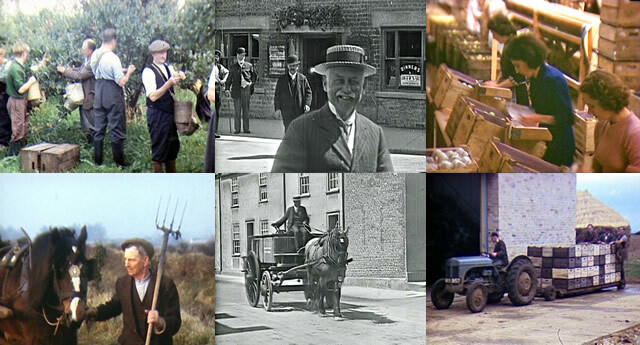 An archive film from the Windrose Rural Media Trust showing food production and life in the area dating back to the 1900’s, accompanied by live traditional folk music performed by Amanda Boyd & Nick Cocking. The Windrose Rural Media Trust is a charity working to preserve, restore and share archive film of Dorset, Somerset and Wiltshire. A chance for young and old to show off their baking talents. Bakes will be on display at The Balsam Centre, and judging will take place at 1:30pm. We also invite you to submit your best foodie photos to be shared on Instagram (@savour_flavour19) to win a cash prize. The best photos will be printed and displayed at the Memorial Hall and the finalists will be in The Balsam Centre for judging at 1:45pm. Entrants to the jam battle will have their marmalade judged by a panel of Wincanton Fruit & Veg’s best orange experts. The winner will receive 2kg of Seville oranges for their 2020 batch of marmalade! There will also be activities throughout the day in the Emporium. In addtion to the scheduled events, the Town Centre Taste Trail will be supported all day by businesses offering discounts, taster menus and samples. Applegarth Emporium – High Street. Dorset Fine Foods will be serving up another of their delectable dishes and libation to keep you going. Dan the Baker Man will be making wonderful bread with which to sample all the marvellous marmalade from the Master of Marmalade competition. There will also be live music from local performers. Hub at No: 3 - 3 Market Place – www.hubatno3.com an independent café & wellbeing hub, will be serving a special wellbeing meal, launching their delicious Detox Week, offering samples & talks from experts. Bootmakers – 5 Market Place – Bootmakers on Facebook. An independent café with scrap based activity workshops. Will be offering Foodie Face Painting, free crepe with every pizza, and a Candy Floss Tombola, with prizes for the winning numbers. The Nog Inn – South Street – www.thenoginn.co.uk. An award winning public house. They will be offering 10% off all food when TASTETRAIL19 is mentioned when ordering, and a speciality “Slider Platter” that includes mini version of each of their homemade burgers, with hand-cut chips. Hooga – 23 High Street – www.hooga.coffee. Independent coffee shop inspired by the Scandinavian way of life. Serving the classic Pølser (hot dog) the traditional Danish way with sauces, onions and pickles. Adorabella Cake Design – 4a South Street – Adorabella on Facebook. Independent specialist cake designers, creating stunning individual cakes. They will be offering samples and specials for the day. Divine Wines – 16 High Street – Independent continental-style café, serving coffee, cakes and homemade specials, alongside fine wines. They will be offering a special French lunch menu and favourite homemade pasties. Andrew Barclay Butcher – 45 High Street – www.andrewbarclaybutcher.co.uk. Traditional independent family butcher, selling local produce, and quality meats. They will be providing a hog roast at the Memorial Hall. The Balsam Centre – off Memorial Hall car park – www.balsamcentre.org.uk. Open between 12:30 and 2:30pm with a soup kitchen serving homemade soup and bread (£1), and will also have ‘Good Mood Food’ tasters and ideas. Local producers are invited to participate free of charge. Space is limited and traders are encouraged to apply as soon as possible to secure their place. For more information, please contact Louise Stewart on 07951 255818 or email to obtain registration details.